Earn big points with your better half on Maryland’s most romantic excursion. 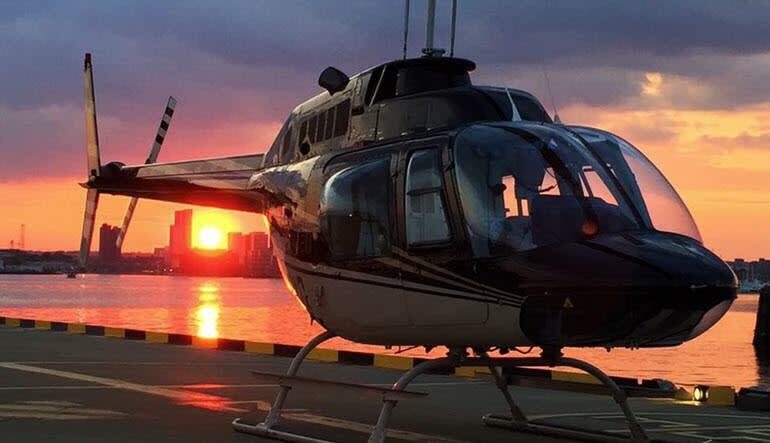 This Baltimore helicopter tour pairs highflying, sunset sights with a gourmet dinner! Earn big points with your better half on Maryland’s most romantic excursion. 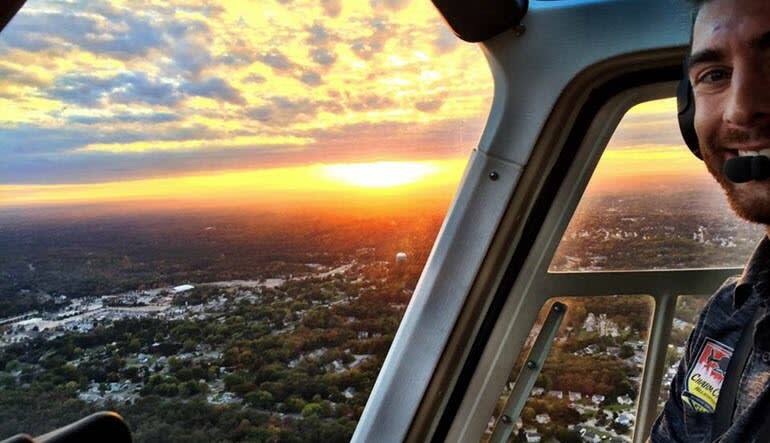 This Baltimore helicopter tour pairs highflying, sunset sights with a gourmet dinner! Get phenomenal Downtown Baltimore views then touch down at one of two lauded restaurants, Fogo De Chao or Phillips Seafood. There, you’ll impress your special someone with a sumptuous dinner for two and bottle of vino. Begin the evening in a Bell 407 or 206 helicopter. 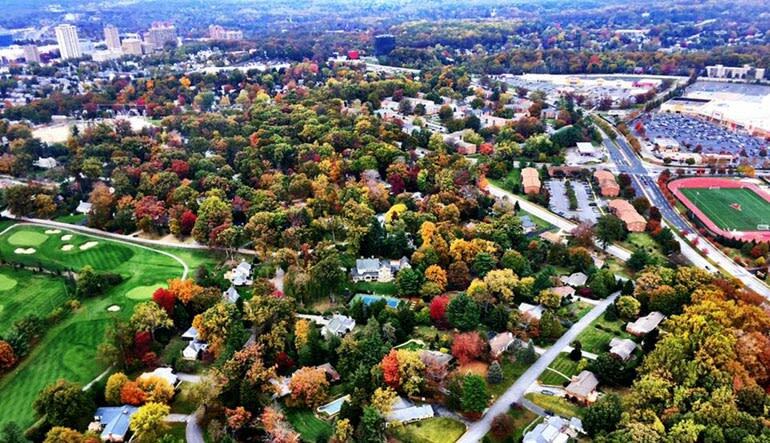 Get a 18-20-minute helicopter tour of Baltimore. See Fort McHenry, the Port of Baltimore and the Seagirt Marine Terminal. Fly over the Natty Boh Tower and snap shots of its famous sign. Get overhead views of Johns Hopkins Hospital and Fells Point. Travel to the Oriole’s Stadium and the Raven’s M&T Bank Stadium. Enjoy views of Mount Vernon and the Baltimore Aquarium. See the famed USS Constellation and USS Torsk. Upon landing, get transportation to either Fogo De Chao or Philips Seafood. Indulge with a gourmet dinner for two and bottle of wine! Perfect for birthdays, anniversaries or any time you’re in hot water, this sunset tour is by far Baltimore’s most sought-after romantic getaway! Maximum weight per passenger is 300 lbs.